Adipose stem cells (ASCs) are an attractive and abundant stem cell source with therapeutic applicability in diverse fields for the repair and regeneration of acute and chronically damaged tissues. Importantly, unlike the human bone marrow stromal/stem stem cells (BMSCs) that are present at low frequency in the bone marrow, ASCs can be retrieved in high number from either liposuction aspirates or subcutaneous adipose tissue fragments and can easily be expanded in vitro. ASCs display properties similar to that observed in BMSCs and, upon induction, undergo at least osteogenic, chondrogenic, adipogenic and neurogenic, differentiation in vitro. Furthermore, ASCs have been shown to be immunoprivileged, prevent severe graft-versus-host disease in vitro and in vivo and to be genetically stable in long-term culture. They have also proven applicability in other functions, such as providing hematopoietic support and gene transfer. Due to these characteristics, ASCs have rapidly advanced into clinical trials for treatment of a broad range of conditions. As cell therapies are becoming more frequent, clinical laboratories following good manufacturing practices are needed. At the same time as laboratory processes become more extensive, the need for control in the processing laboratory grows consequently involving a greater risk of complications and possibly adverse events for the recipient. 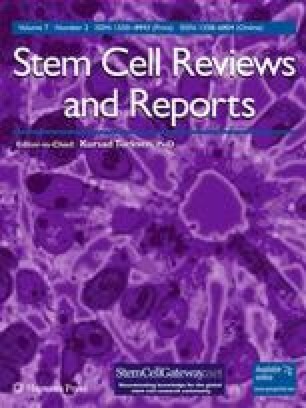 Therefore, the safety, reproducibility and quality of the stem cells must thoroughly be examined prior to extensive use in clinical applications. In this review, some of the aspects of examination on ASCs in vitro and the utilization of ASCs in clinical studies are discussed. The author wishes to thank Prof. Jeffrey Gimble, Pennington Medical Research Center for the valuable comments on the manuscript. The work was supported by TEKES, the Finnish Funding Agency for Technology and Innovation, the competitive research funding of the Pirkanmaa Hospital District, the Finnish Dental Society Apollonia, the City of Tampere, the Maud Kuistila Memorial Foundation and the Finnish Cultural Foundation Pirkanmaa Provincial Foundation. Tissue Genesis Cell Isolation System. Tissue Genesis Incorporated. February 10th, 2009. Available at: http://www.tissuegenesis.com/. Cytori’s Celution® 700 System to be Regulated as a Medical Device by U.S. FDA. 20 Jul 2009. Available at: http://www.medicalnewstoday.com/articles/158091.php. DIRECTIVE 2001/83/EC of the European Parliament and of the Council on the Community Code Relating to Medicinal Products for Human Use. The European Parliament and of the Council of the Community. Available at: http://www.emea.europa.eu/pdfs/human/pmf/2001-83-EC.pdf. Guideline on Human Cell-Based Medicinal Products. EMEA, Committee for Human Medicinal Products. Available at: http://www.emea.europa.eu/pdfs/human/cpwp/41086906enfin.pdf. Rehmann, W., Morgan, G. The Regulation of Advanced Therapies: Perspectives from the EU [Regulatory Feature]. February 2009. Available at: http://www.taylorwessing.com/uploads/tx_siruplawyermanagement/The_Regulation_of_Advanced_Therapies.pdf. Regulation (EC) no 1394/2007 of the European Parliament and of the Council. Official Journal of the European Union. Available at: http://eur-lex.europa.eu/LexUriServ/LexUriServ.do?uri=OJ:L:2007:324:0121:0137:en:PDF.